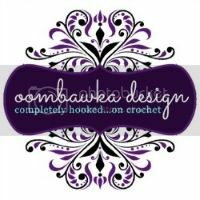 Note: This pattern can be made by any yarn and hook size, just choose a yarn type that matches the hook. Cut white felt to make fangs. 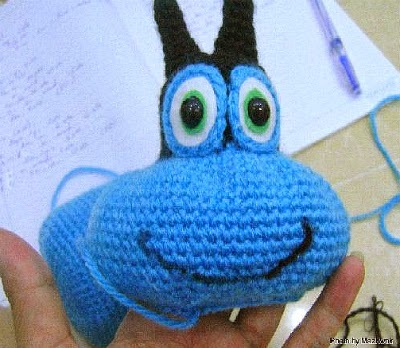 Eyes: ( make 2), using blue yarn. Cut white and green felt to make eyes. Attach to the place right below the eyes. Use yarn needle to thread black yarn for whisker. 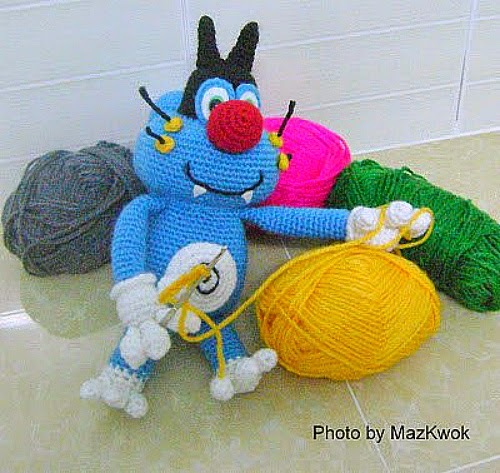 Arms: (make 2), using white and blue yarn. (work in join rounds from R1 to 9). Stuff lightly and attach to side of the body. Fingers: (make 8), using white yarn. Legs: (make 2), using white and blue yarn. (work in join rounds from R1 to 5). Attach legs to lower side of the body.